Most of these mares are currently in foal. 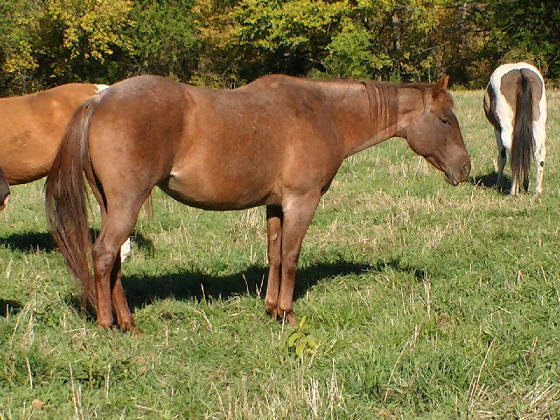 A number of these mares ride to varying degrees, as noted in the individual bios. Extended pedigrees are available. 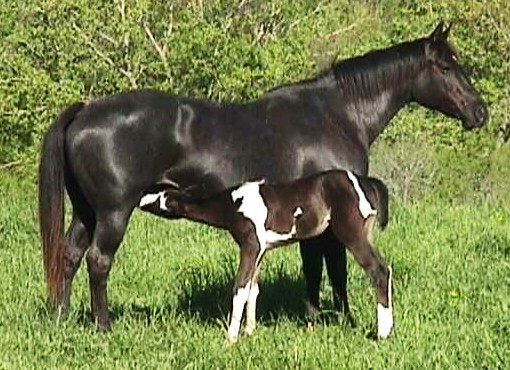 If you see something you like, or want information on a past, present or future foal, just let me know. Any offspring we still have will be listed below that mare's bio. Their photos/description can be viewed on other pages - according to year of birth. Depending on time of year, we do sell 3-in-1 and 2-in-1 combinations. Also, if you are looking for more than one broodmare/riding horse we are always willing to discuss 'package deals'. Most of our broodmares come with a 'live foal guarantee' as well as a 1/2 priced breeding to the stallion of your choice.....for the breeding season immediately after purchase. If you see something you like, but don't have the cash up front - payment plans are an option, and a 20% - 25% deposit will hold a horse. ASK for details. In case you don't pick up on the fact that these mares are listed in order of age - figured I'd just as well mention that right now in case age is a factor in your search. Any horse listed as **sale pending** means I have a deposit and/or payments are being made. As we know, sometimes 'stuff happens' and so, if you'd like to be kept informed on the sale status of any particular horse, just let me know!! After settling in over the summer - 2011 - Mindy has proven to be a decent enough mare. She weighs between 1000 and 1100 #. 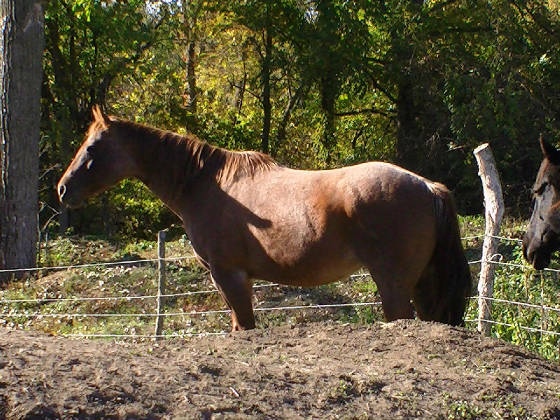 Mindy has been bred to Bubba and we are expecting a late May foal in 2012. May, 2014 - UPDATE We have recently received emails from a couple of owners of Baron Bark Mindy's paternal siblings (Fancy Red Bark offspring), warning/advising us that they tested positive for PSSM. Realizing that no responsible breeder will knowingly use a PSSM positive mare in their broodmare band, we tested Baron Bark Mindy - to our dismay, she IS positive for PSSM - and now we have a problem. SO - now we need to get rid of Baron Bark Mindy. We are looking for any kind of offer/trade equivalent to her base (meat) price of $350. 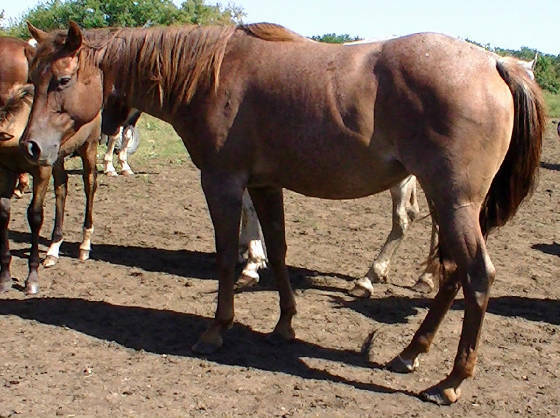 To prevent her from being used as a broodmare in her future home(s), her registration papers will NOT go with her unless/until she is spayed. Good news is that we tested Mindy's 2013 filly for PSSM also - and she is negative! **As of October 5th, 2014 - Baron Bark Mindy has been placed/traded. 100% guarantee that she will NOT be producing more foals.